New feature alert! I have been thinking about my Pinterest boards, my Creative Spark DIYs one in-particular and I really want to actually start doing some of the things I’ve pinned (craziness, I know, tee-hee!). So many things spark my interest or light up a creative path in my ever-winding mind and what good will they do if they remain mere thoughts? 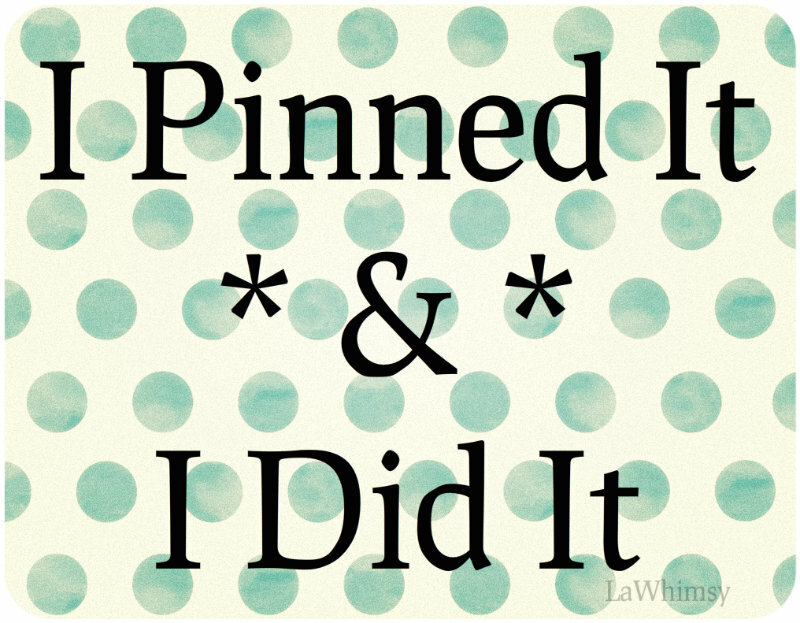 With that in mind, I give you I Pinned It & I Did It – my new, and hopefully regular, feature here in the blog-o-sphere! I’ll have a matching Pinterest board with links and maybe, just maybe, I’ll make some headway in making the space around me even more whimsical all the while stretching my own abilities and learning and creating all sorts of new and delightful things! With this warning in mind (and many a craftfail to reassure myself that I am not the only one to totally bunk-up a project) I am off and I do hope you’ll join me! *All projects link from my Pinterest, however I have the original tutorial or idea link there whenever possible. If you notice an incorrect credit please let me know and I’ll correct it a.s.a.p. !